The presentation was well received with participants challenging us on their social wins and struggles. Even folks who didn’t completely agree came up to us later with nuggets from the sessions that they were going to apply. One of the key pieces is the repurposing of information. Blog posts become ebooks that become webinars that are split into tweets and on and on. We don’t want it to be said that we aren’t willing to eat our own dog food. 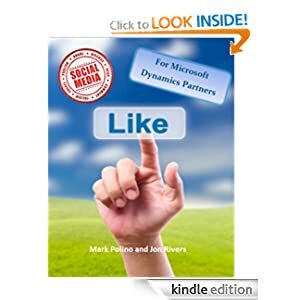 Along those lines we’ve expanded the presentation into an ebook available in PDF and Amazon Kindle formats from the link http://msdynamicsgp.blogspot.com/p/best-practice-guides.html#socialmedia. But there’s a catch. If you went to our GP Partner Connections presentation we gave you a code for a free copy. If you didn’t go to the session it will cost you $10. It’s more than worth the cost in my opinion so go check it out.